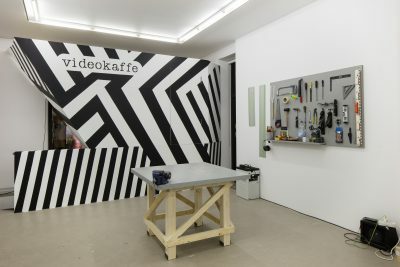 VIDEOKAFFE is an artist collective whose eleven members are from Germany, Finland, the United States and Russia. It has collaborated in various combinations since 2011. 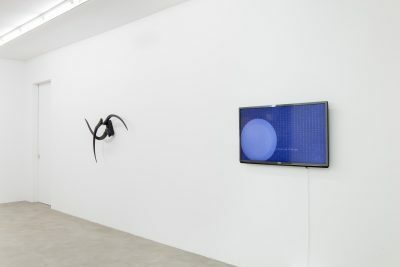 The members represent various skills: carpenters, sculptors, machine constructors, video artists and producers, audio designers, computer experts, art educators, and a watchmaker. This is one of the impetuses of their collaboration. In creating works, exhibitions and projects of a new kind, the members learn from one another and rely on each other’s special areas of talent and competence. 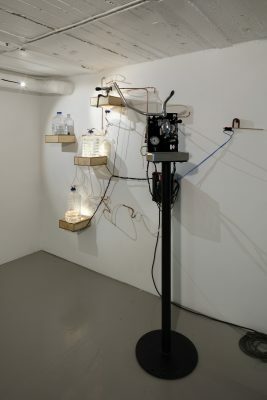 VIDEOKAFFE develops moving and functioning works of sculpture, combining high and low technologies, recycled materials, computer programming, work in wood and metal, and the presentation of results as performances. 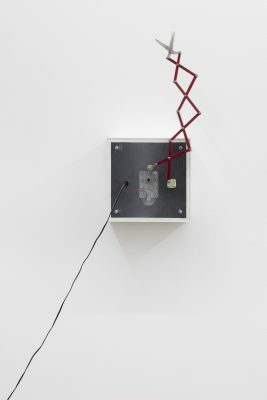 In doing so, VIDEOKAFFE explores the relationships that emerge between the following pairs of opposites among others: material-immaterial, tactile-information flow, sensory-knowledge based, sculpture-idea. 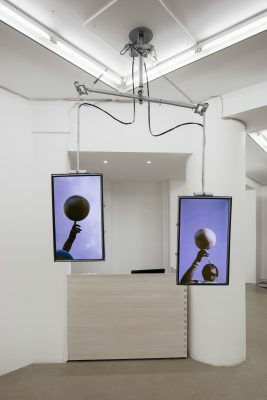 The works seek to provide their viewers with a comprehensive experience extending between various disciplines, areas of the arts and the concrete. 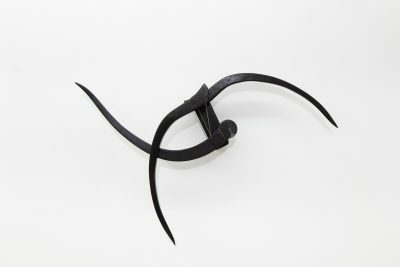 When the exhibition opens at Galerie Anhava, there will be several multidisciplinary pieces on show. Part of the gallery will be set apart as a laboratory, where VIDEOKAFFE will construct new works during the course of the exhibition. Visitors can follow the work, engage in conversations with members of the group, and possibly even take part in the work itself. VIDEOKAFFE’s method emphasizes process, community and the sharing of experience and knowledge. 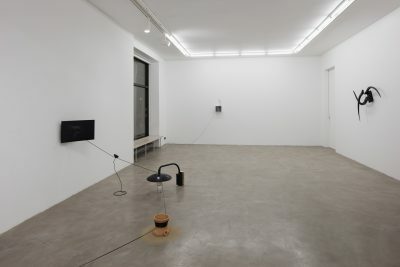 Towards the end of the exhibition, on 15 December, the new works will be presented as a performance at the Finissage event. The extremely fast recent development of technology poses new pressures and tensions for human mental capacities. 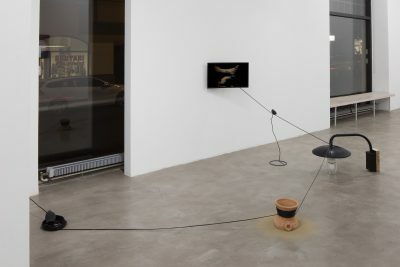 VIDEOKAFFE seeks to respond to this challenge by combining in its art the most recent with the traditional and the immaterial with the tangible.